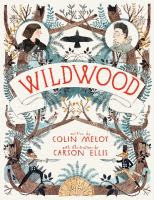 Wild wood is about a girl and her little brother who are abducted by a murder of crows. She sees crows go into the wood and she follows them. Not many people go to these woods. She finds people in the wild wood and sees coyotes there that can talk and fight with swords. Her baby brother calls her Poo instead of Prue. Good illustrations - "I have read it about 5 times." 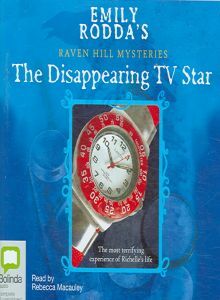 This is the 2nd book in the Kane Chronicles. The two main characters are a brother and sister - Carter, who is 14, and Sadie, who is 13, and Sadie’s boyfriend is the god Anubis. Their quest is to find the long lost sun god Ra. There are 3 parts of the scroll called the Book of Ra. They become friends with the god Bes. Georgia starts off with a warning – don’t read this book if you are bad with sad endings! Two boys run away from home when their drunk dad drowns puppies in the river. They go to find their mother. It is set in Queensland, Australia. "It's good. There's always something you want to find out. Curious, interesting." About a man and a boy, every night they pee out in the garden and one day the water has buds in it so the boy has to go to his aunts and uncles house. The boy who lives there always tells on him. One night he pees out in the garden and the boy tells on him, so one night he is busting and he pees out the window but it is going into the tank. They are always boasting about how clear their water is. It’s about a girl who is brought up on a farm by her parents, her name is Buttercup, and a farm boy called Wesley. At first she bosses him around but she falls in love with him then he says he has to go. Three pirates track her down and take her away. Wesley finds her. "Adventurous – I recommend it." It’s about people in the olden days. She steals an apple for her horse and is imprisoned. Now she is on a boat going to Australia. They don’t get lots of food on the boat. You find out how hard it was back in those days. This is about four girls who have been best friends since they were babies – now they are 16. They are about to spend the first summer of their lives apart. They are all going to different places. The night before they go they buy a pair of pants that fits them all and they make a plan that over the summer they will send the pants around to each other and all get a turn to wear them, and the pants will bring them luck. I’ve read the one about the glass slippers which is about a girl Delphi who goes on adventures. When her ballet shoes glow at night, she puts them on and she goes to enchanter and there is a girl there sitting on a chair crying. The king turns back the time so she couldn’t go to the ball and meet the prince. Delphi tries to help. It’s about a guy with a hand that’s a whip. Drake is dangerous and an immortal. An evil guy gives him a whip for an arm. This is about Grubs Grady. He is a magician who fights the demons. The demon master, Lord Loss, is trying to open the tunnel between the demon world and the human world. About a girl who applies for work, and all the work has some kind of mystery. There is an ad for a chocolate bar called 'the lot' and it has everything in it. The TV star is doing a competition and has to go against another TV star. Reporters kidnap her. The mystery is finally solved in the end. There were no reviews from Albert Park this month - badge-making was the order of the day for their last meeting!